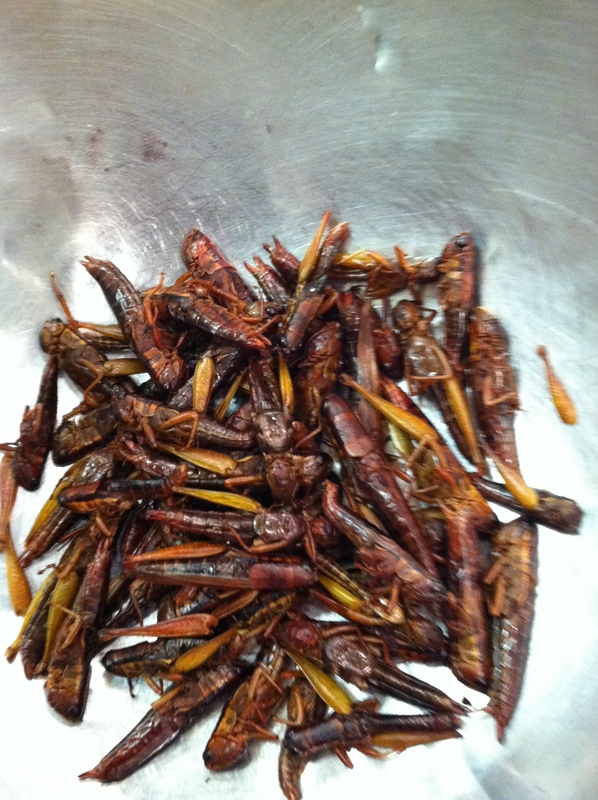 Fair warning: If you are squeamish about grasshoppers or insects, move on to the next post. Just a fair warning. 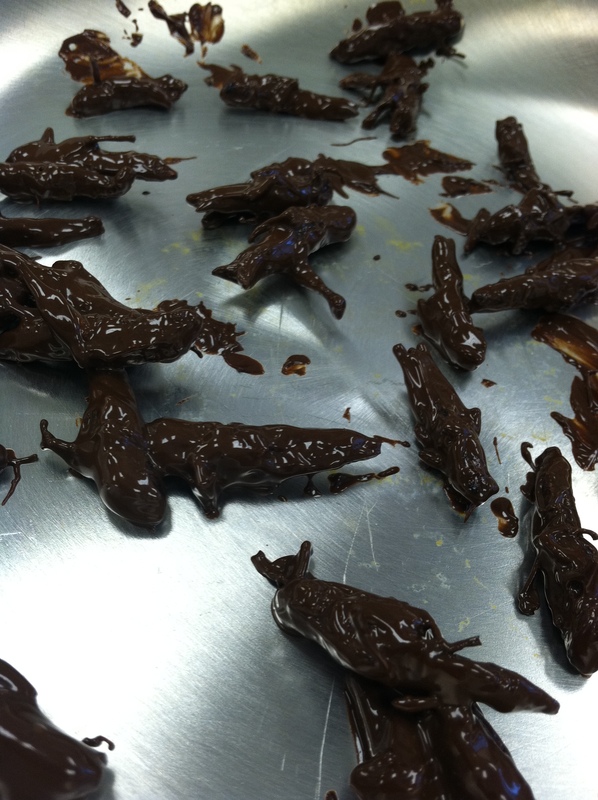 There is a student in my Garde Manger class who brought grasshoppers to class. 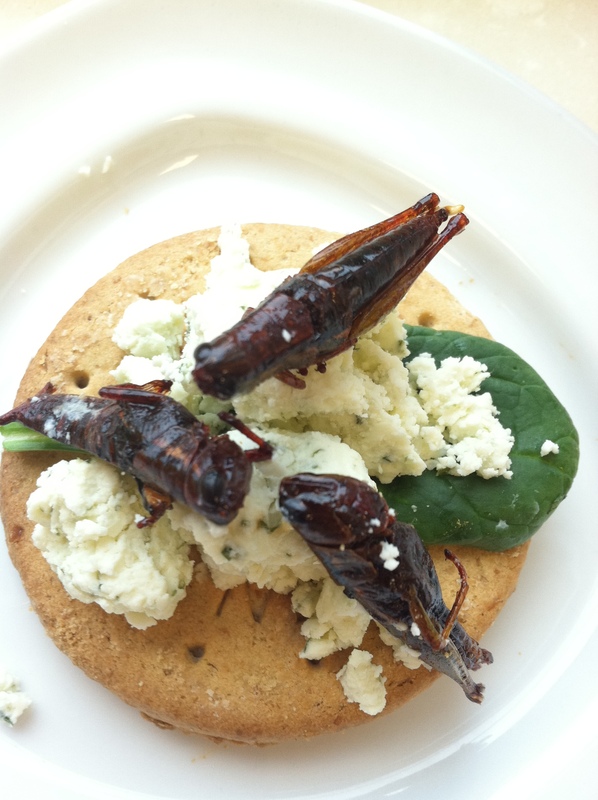 Even though eating grasshoppers is not the mainstay diet of my readers, I thought it was so interesting I had to write about it. I am not an extreme food consumer, but if it was all there was to eat, I speculate a way would be found. 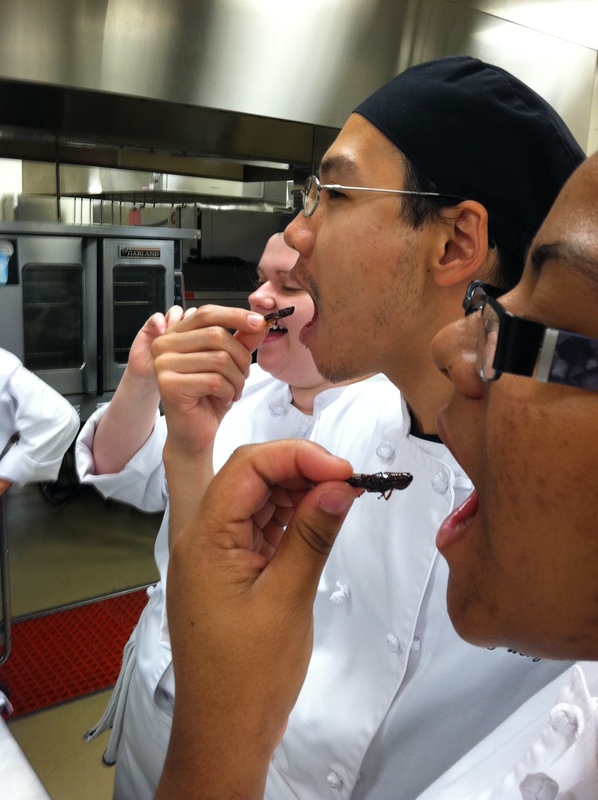 I couldn’t bring myself to eat one, however, several students were excited to try. Yong made them nice and crispy and made a Korean style teriyaki sauce and another of his teammates, Andrew, covered them with dark chocolate. Some were paired with cheese on a cracker. Yong was telling us how in Korea, they raise grasshoppers in very clean ‘grasshopper farms’. I visioned tall blades of lush grass with jumpy, springing green grasshoppers leaping blissfully from blade to blade. At least he didn’t bring in hissing cockroaches. 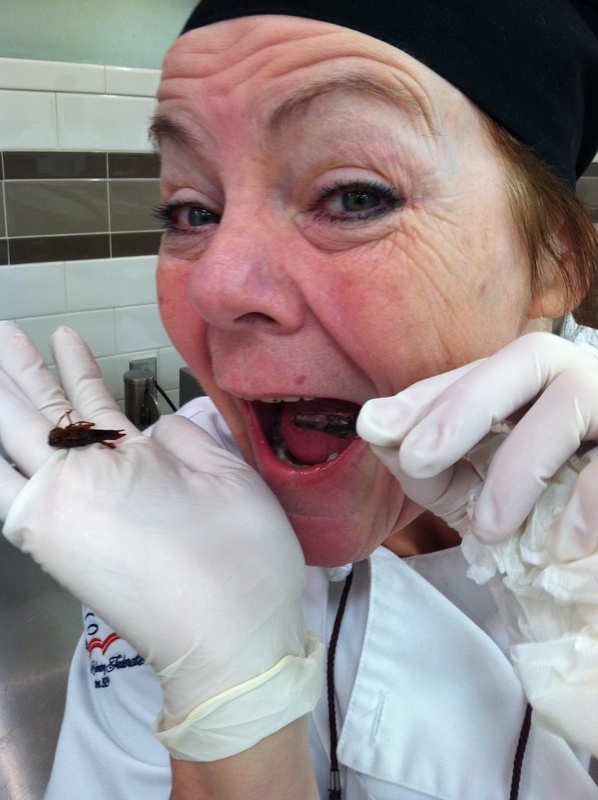 This entry was posted in Recipes, Teaching Culinary School and tagged chocolate covered insects, cook, eating insects, exotic food, food, Grasshopper. Bookmark the permalink. Well, although I love Chocolate ….I think not! Maybe if I was lost in the wilderness but not in Uptown. Love the photos. Exactly! Uptown is a different kind of jungle, there are choices. 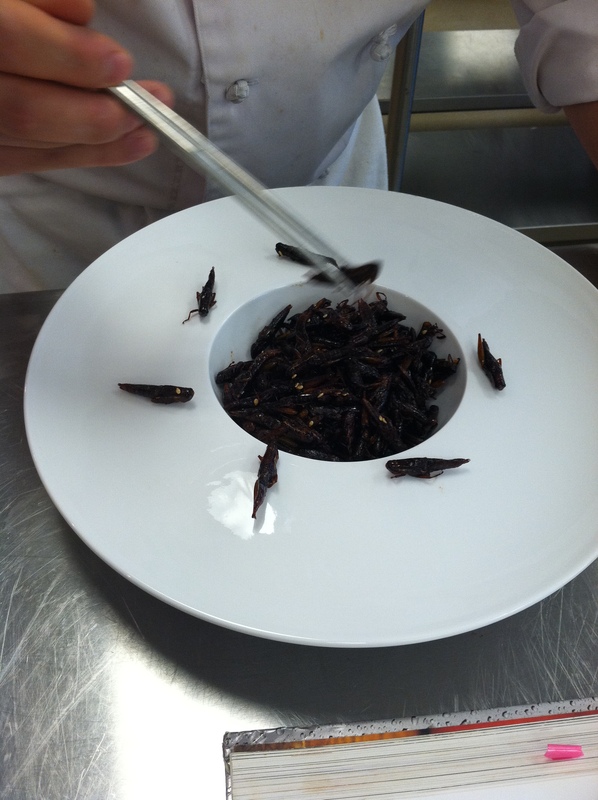 I would choose Chima over grasshoppers. I draw the line too, Chip Uru. There are lots of things that can be eaten, doesn’t mean they have to be. I may see myself try the chocolate ones 🙂 very unappealing looking, but maybe after a glass or… three of good wine I may go for them. fun post! Yes, at least 2 or 3 and even then. . .